As a professional, you have limited venues in which to speak your mind and reach a strictly peer audience. While it’s possible to post your thoughts elsewhere, and there are many venues that will welcome you, it’s hard to find a community that’s both large-scale and caters to your business class. Maybe you can try a WordPress blog and see what fish bite, but this still opens you up to reaching people outside of the demographic you want to target: like-minded professionals. Now, this isn’t saying that the opinions and thoughts of those outside of the professional realm aren’t worth something; not at all. But there are certain topics and thoughts that you want to discuss in a more peer-based space. Before LinkedIn took off, this space didn’t exist. It does now. Some topics don’t necessarily resonate outside of a very hyper-specific audience, and this is true for any demographic. For instance, blogging about B2B sales statistics is something that generally only one audience will be interested in, and certainly not something the layman cares about. The perk of LinkedIn posting isn’t just that you’ll be communicating with peers; you’ll also be part of a group that is looking for perspectives from professionals like yourself, giving you a better chance of getting your content actually seen by the people you want to see it. This isn’t just a game of seeing and being seen either: there’s an added layer to it in the realm of LinkedIn. 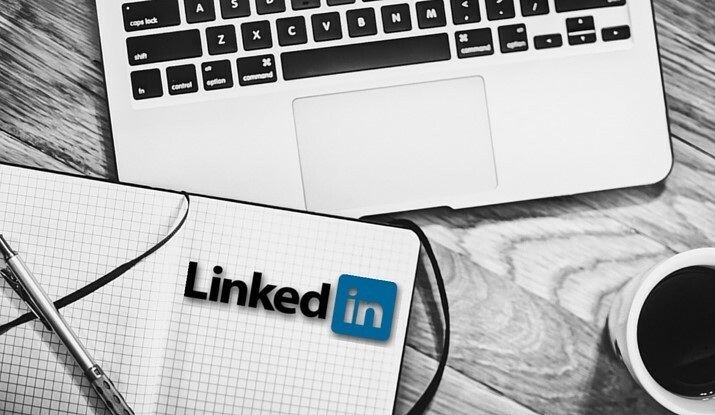 With more than 360 million professionals and counting using the site, publishing content on LinkedIn can actually boost your credibility as someone in a business sphere. Showing what you know and think on LinkedIn can open doors for you, and this has proved extremely fruitful for people just like you in the past. Janet Matta simply posted an article on salary negotiation on the social site and through a string of fortunate events; Ms. Matta landed her dream job in a completely different country. This isn’t just a one-off fantasy story either. Robbie Abed posted content about his 250 coffee meetings in 400 days, leading him to meet his professional idol just because of his post’s visibility. Now you see things like this occur all the time outside of the professional realm, so maybe the concept isn’t so unfamiliar. But without the presence of LinkedIn, this kind of happenstance would be very rare in professional spaces, especially from outside of your local area. LinkedIn isn’t just about people in Canada or America. People from around the globe can use LinkedIn, meaning your post can be read by someone in your same field in other countries. For some, this kind of global connection isn’t important, but for others this is a unique opportunity to expand their field of vision into a new frontier, not to mention increase their client pool. These professionals can have a profound impact on your career in many different ways, from communicating and expanding your viewpoints on issues, growing your professional exposure to outside markets and even countries, and making partnerships with people in your own professional field. And again, you’re not shouting into an empty room. The professionals on LinkedIn are looking for people they can connect with, just like you are. On average, LinkedIn posts see about six times as many views from people outside of the poster’s immediate network. This means the pool of people who are looking at the content you post is extremely large. There are about three million posts on LinkedIn right now, with professionals in nine different countries from 21 different industries looking through this content daily. This content is constantly streaming in, too. There are about 130 thousand posts put on LinkedIn per week, which is about 18.5 thousand posts put up daily. The worry comes up when you begin to think about how your post might get lost in all of this uploaded content, which is a valid concern on any platform. This is especially true when you factor in things like the value of your content, the field in question and how optimized your post is. If you’re concerned about your content’s statistics, LinkedIn does offer post analytics date which tells you who has read, shared and/or commented on your content. This feature also includes more information on your readers, such as how they found you and their own professional standing. LinkedIn is essentially a platform that opens the door to your ability to easily network in the business community. Why not give it a shot? Do not know of a plug-in like that, however we plan to roll out a solution via our tool very soon. What it will allow you to do is have an RSS feed for your blog that is automatically uploaded to your Auto Post Queue(s). This will allow you to do exactly what it is you are looking for. Happy to shoot you an email when it is ready! Interested?